I have spent my life with my eyes fixed on one goal or another, checking items off a myriad of lists line by line along the way. Those checks help me round out my sense of self, and the lure of unknown wonders around the next bend pulls me forward. I earned a degree, built a career or two, completed projects, lost the baby weight (finally), hiked mountains and conquered fears. Ah, but those milestones on the road to wonderful feel good! Every once in a while, my current crop of goals grows stale. Life moves on to the next phase, and I find I require a new rhythm, new purpose. I study, ponder, try to match my heartbeat with the divine. Such was the case last fall, and over a few months I reached some surprising conclusions. Step back. Read. Breathe. Live in the present. Learn to radiate joy. And the hard one: defy logic and set aside the lofty goals for a time. I embraced the plan initially. Learning to find joy, to accept life without the constant fight to make it fit my plan, felt incredibly liberating. And then I stepped out of a rare mid-day bubble bath one afternoon and looked in the mirror in a moment of hormone-inspired introspective clarity. (Women, you know those moments.) "What a load of hooey!" I thought (in roughly those terms). "I have simply lowered my expectations of myself, of life. I have given up in defeat, thrown away the dream. I have become the lazy servant with his talent buried firmly in the sand." The thought pattern continued on with a fair amount of ranting and raving and glum expression, but that's pretty much the general theme. A quiet voice in a far corner of my brain reminded me that I had arrived at this path deliberately and under inspiration, but louder arguments drowned it out. 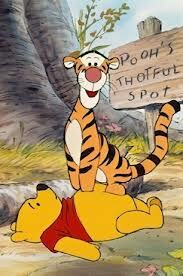 Winnie the Pooh has his favorite "Thotful Spot," a place made for "deciding what to do today." I have my own favorite thoughtful spots, and after a day of ranting and wallowing, I went to one of them. My mind wandered to one of my recurring goals that has impacted my life significantly over the past decade. 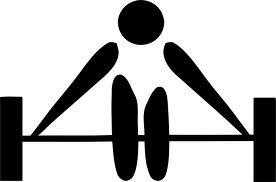 I exercise religiously, and several days each week my regimen involves weight training. I love feeling strong, and I love the curve of a solid muscle. I thought about how those muscles grow. In simple terms, under the stress of pushing weight, the muscle tissue breaks down. It is in the recovery period (the rest in between sets, the good night of sleep) that the muscle rebuilds and grows. Uncomfortable as it is to learn to define myself without the measuring stick of goals and accomplishments, this time of recovery is critical, and it will not last. This is a time to build strength and patience, to gather wisdom and grow faith. This is a time to hone insights, to cement good physical and spiritual habits, to nurture relationships. I still have a work to do, mountains to climb, loads to carry. Soon it will be time for the next set of reps, and I will need all of that strength and faith and insight when the time comes. For now, I will breathe, read, smile...and grow.